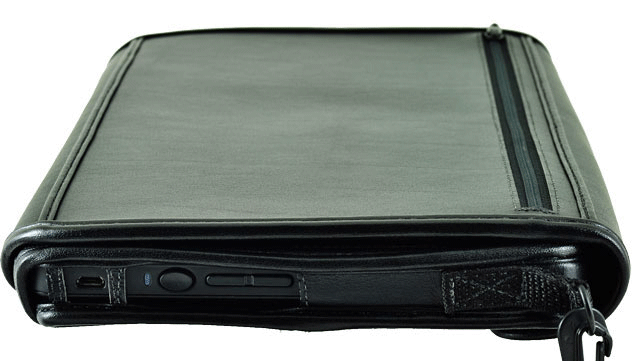 The new BrailleNote Touch case is a tightly fitted case that allows you access to you Touch. 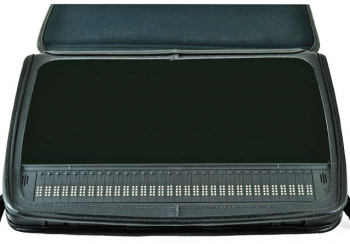 It is a form fit custom leather case and designed to enable the Touch user to easily utilize the BrailleNote taker while the case is on the unit and allow the unit to be carried on a comfortable strap. 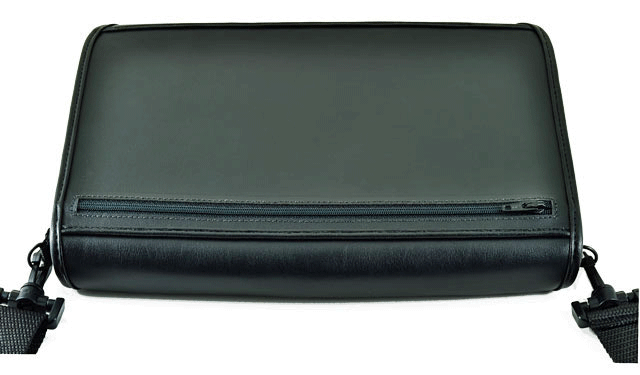 The face of the unit is covered with a zipper pocket cover which may be opened / closed with magnet closures. The zipper pocket cover may be flipped on to the rear and secured under the unit if the user needs to utilize the note taker while walking. The large zipper pocket can store your ear buds and other items which provide security and protection. It is designed to enable the user to utilize the note taker while the case is on. 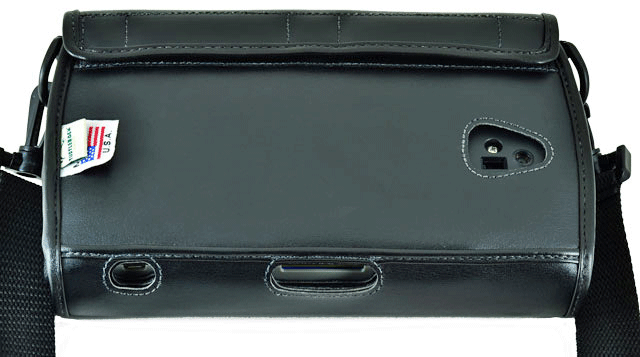 The case is equipped with a black plastic hooks to provide security, durability and safety. EPI continues the tradition of creating functional, durable and beautiful fitted cases. Made in the U.S.A. Executive Products.